The Phoenix Market City is hosting an interesting event 'Fit Fest' on the last weekend of February. 'The Pink Owl' is curating the event this year. 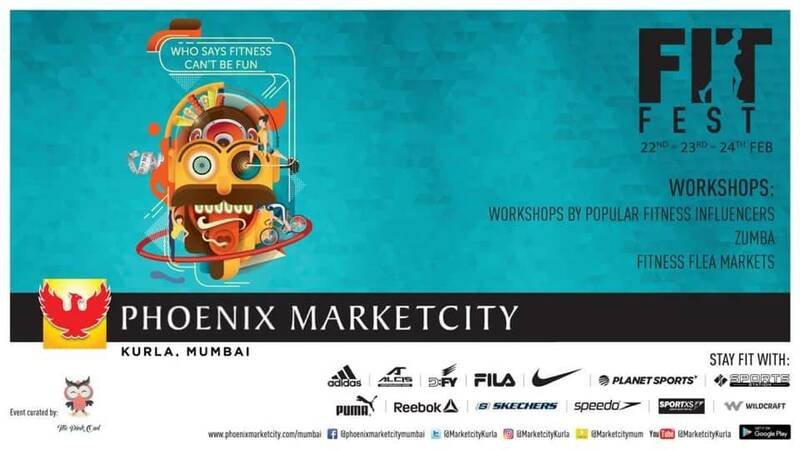 The idea behind the third edition of FitFest is to bring together fitness enthusiasts who care about fitness & health right here at the Phoenix Market City to enjoy a fitness bonanza with fitness workshops with popular experts, fitness shopping flea and the numerous fitness stores that the mall has to offer. The idea is to make it the perfect place for any fitness enthusiast to be. Motivation comes in many forms. This #FitFest adds some shimmer and jazz to bring out the fitness freak in you!